How Are Dog Trackers Different From Chips? Do I Need a Dog Tracker? Dog trackers are devices used to monitor the whereabout of the dog using a tracking transmitter on the dog, and a receiver used by the dog owner. There are two types of dog trackers: GPS trackers which use the mobile cellular network, and radio-frequency dog tracking systems that are self-contained. Do not be mistaken, a chip ID that every dog is required to have implanted under the skin won’t help if your dog is out of sight and lost. A dog tracking device allows you, at any given time, to check where is your dog. Obviously, depending on the technology used there will be some constraints (mobile signal, battery life, etc). 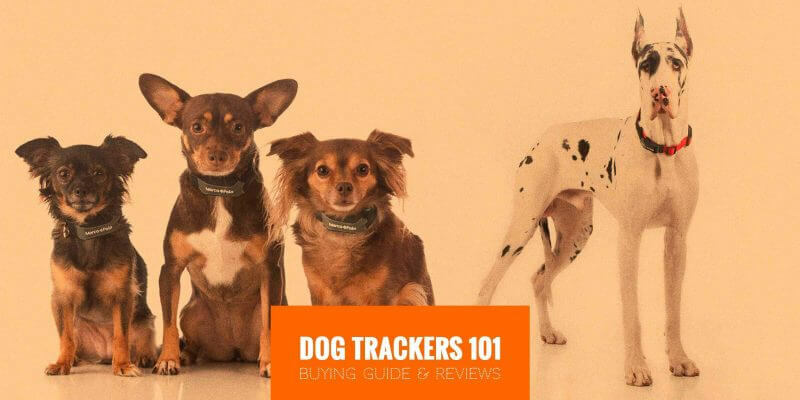 This article explains you, in great details, what are the pros and cons of the different kinds of dog tracking technologies, and the top 5 best dog trackers with their total cost of ownership (including the devices themselves, but also any subscription fee). Dog tracking devices come in a variety of forms but all are based on the idea of attaching an electronic tag to your dog’s collar. Inside the tag is a battery-powered radio transmitter and receiver which allows you to receive information about your dog’s whereabouts. Tag designs vary based on the specific technology used and feature choices made by the system’s manufacturer. The manufacturer’s choices result in differences between each manufacturer’s tag in terms of physical size, weight, and battery life. Manufacturers decide how much detail is given to the user about the pet’s location and most importantly, the infrastructure requirements. Common infrastructures for dog trackers require access to cell phone service, internet, WiFi and GPS satellites which place limits on when and where the system will work reliably. Almost all dog owners are familiar with “chips”, and many owners choose to have their dog “chipped”. Chips, technically called RFID tags, are passive electronic devices which are implanted under a pet’s skin. They are called “passive” because they don’t have batteries or any other source of power. Instead, chips rely on an external reader than must be placed directly over the implant to read out the chip’s serial number. The serial number is then used to look up the owner information, or the information provided by the original purchaser of the chip, thus helping to reunite the pet with the owner. The biggest advantage of a chip ID is that it remains with the pet even if the collar or harness is lost or removed and is one of the few ways to help recover a stolen pet. Whether you choose to purchase a pet tracking system or not, Chipping a pet is considered a baseline level of protection and we recommend that every pet be “chipped” as well as wear a collar with an engraved ID tag. Many people have the mistaken belief that chips allow them to instantly track their lost pet anywhere in the world. Unfortunately, nothing could be farther from the truth. To be useful, the lost or injured pet must be found, or in some cases, captured, and brought to a veterinarian or a shelter that is equipped with the proper reader to recover the identifying information in the chip. In many cases, this help is not available or timely enough to prevent a disaster. In short, when your pet is chipped you are still totally dependent on other people to help find your pet. With a tracking system you are better prepared to take timely action and recover the pet on your own before disaster strikes. Maybe not. Your chances of needing a pet tracker are very low if you live in an apartment or a home where you do not have outside access for your pet and only take them out for walks with a proper walking harness and leash. However, most dog owners do have outside areas with fences and gates that can be breached. And regardless of your daily living situation, if you travel with your dog, or take them hiking or to the local park for some outside playtime, a pet tracking system is something you might want to consider. 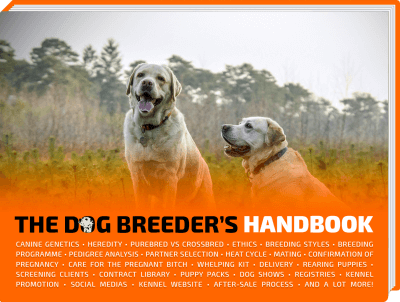 Certain dog breeds are more problematic than others. Some dogs just love to run for the fun of it. Huskies, Border Collies and Greyhounds are just some examples. 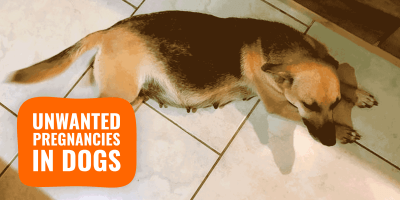 Other breeds have intense prey drives and will go into the “red zone” at the sight or scent of a rabbit or deer — Terriers and Shiba Inus are two prime examples of these. 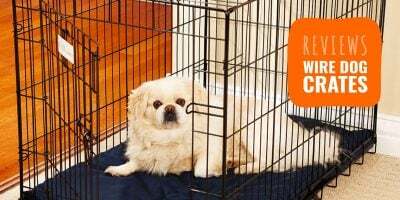 Also many dogs, regardless of breed, will charge an open door or gate and escape at a moment’s notice from an otherwise secure area. Dog trackers, such as the Marco Polo RF tracking system, offer a huge peace of mind to dog owners. Probably the broadest category of pet owners that are most likely to need a tracking system is the new adopter. A dog, whether young or old, that has just been brought into a new environment has not had time to bond with its new owners. New dogs haven’t yet learned where home is or become accustomed to the scents, sights and sounds of its new surroundings. This is prime time for a pet to be permanently lost as they can easily become disoriented or frightened and may not even come to you when found. You are likely to have your dog for its entire life and face many different situations together. Behaviors can change over time — don’t get too complacent, because the time you need to purchase a pet tracker is before your pet goes missing, not after. Dog tracking devices, or systems, can be divided into two basic categories. A dog tracker either requires cellular service to work or it doesn’t. Which of these two basic types of tracking systems is best for you depends on your particular circumstances. In the following paragraphs we will discuss each of these approaches and several of the available systems on the market. your subscription fee must be current! As you can see, these systems are dependent on many pieces of the puzzle working together before you can see the location of the dog on your cell phone and proceed to that location. We should discuss for a moment what it means to have cellular service. You might say, “I have cell service at my home.” But what that might really mean is that you have cell service by the living room window, but not in the family room. Or upstairs, but not downstairs. How about if you took the phone and placed it on the ground and laid down on top of it, would it work then? That might seem like a silly idea — but that’s exactly what your dog is going to do to its cell-enabled tracking tag! Outside of heavily populated areas and highway corridors, cellular service is spotty. In rural and wilderness areas it can be non-existent. Even areas that have ubiquitous cellular coverage in normal circumstances can quickly go back to the Stone Age if there is a hurricane, earthquake or other natural disaster. Is that really when you want to find yourself without a tracking system? The most common misconception is that only the searcher needs to have cell service for these systems to work. The idea is that your dog could run away in the woods where there was no service and then you could drive into town where there is service and find the location of the lost dog on your phone. Unfortunately, it doesn’t work that way. Both you and the dog must have cellular service and internet data access. If the dog is in a location where the collar tag cannot communicate via a cell tower, there is absolutely nothing you can do about it. Even in an area where there is generally a good signal, if the pet is hiding in a drainage culvert under the road, for example, the tracking tag will likely not work because neither cell signals nor GPS signals can be received by the pet’s tag. This is an even bigger problem with cats, who will often hide under porches or in tool sheds where the signals may not reach. Both cellular transceivers and GPS receivers are power hungry devices. Some products have clever ways of limiting the impact of this, such as switching some components off when the tracking tag is close enough to receive a signal from inside your house, or by shutting down when your pet is not moving (hopefully, because they are sleeping). But no matter what strategy is used, the battery life is extremely limited when compared to other technologies. In the worst case, with these kinds of products, you can charge the battery before going to work and it will be dead before you return home. Obviously, limited battery life can be a very serious issue. a handheld device that communicates with it. Both systems do not rely on any external networks, cell towers or even a clear view of the sky (to access GPS satellites) for their operation. Like other types of two-way radio systems, such as walkie-talkies, they can operate anywhere on earth completely independent of external infrastructures. Also, because there is no need to stay connected to a cellular network or power a battery-eating GPS receiver, these systems run much longer on a battery charge — typically weeks or months rather than the hours or days common to cellular and GPS tracking systems (think about your smartphone, for example). Radio dog trackers rely on measuring the direction the tag’s radio signal is coming from so that you can follow the signal right to your pet. This allows you to “home in” on the pet’s exact location, much more accurately than a GPS location can give you. This can be very important if your pet is injured or hiding. RF tracking systems for dogs are so accurate in their locating ability that they are often used for locating drones and other radio-controlled aircraft which, unlike your pet, don’t come when called and must be dug out of the snow or tall grass obscuring them from view. RF tracking systems will locate a tracking tag with pinpoint accuracy, an obvious advantage in such extreme situations. RF dog tracking systems, such as Marco Polo, use much lower frequency signals than cellular/GPS systems, allowing them to penetrate building materials and even the earth far better. With an RF dog tracker you can find pets that may be inside buildings or hiding in other places that high-frequency signals cannot penetrate. 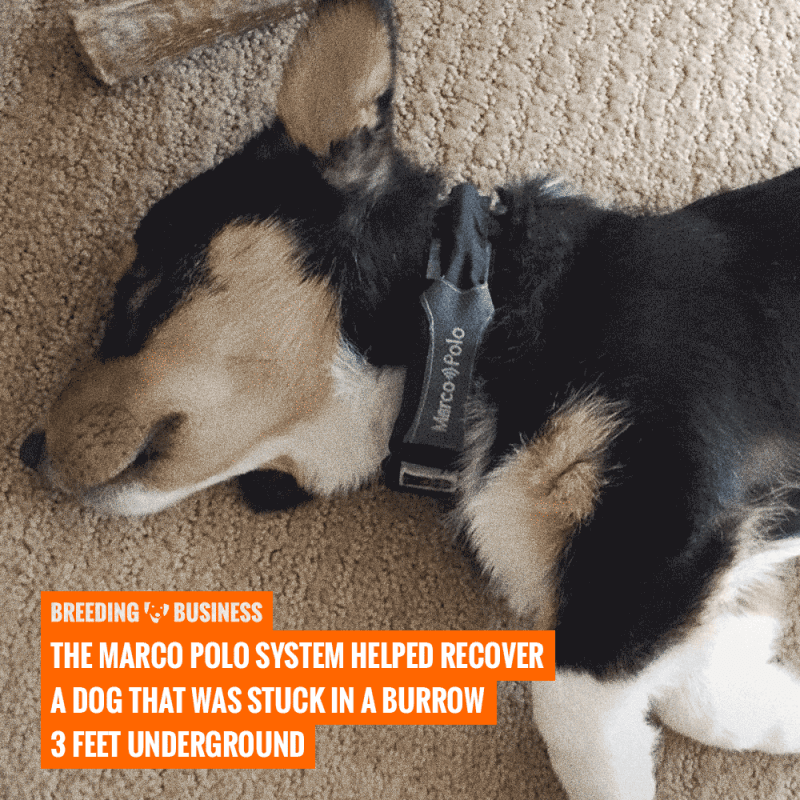 We have even heard of a Marco Polo system recovering a dog that was stuck in a burrow 3 feet underground! This would never be possible with a regular cellular and GPS type of tracking system. Just like with most products, there is a wide range of options for dog owners searching for a reliable dog tracker, be it radio-based or GPS-based. This section helps you with the key focus points you should select your final product upon. Some of the available dog tracking products are not recommended for smaller pets. RF trackers tend to be smaller and lighter than Cellular/GPS products. 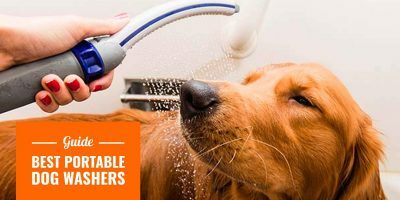 Considering only those products that will actually fit on your pet is a good place to start when narrowing the field of product choices. If you live in a rural area that has spotty service or if you travel with your pet to rural or wilderness areas, then you should narrow your choices to products that will work without those services. On the other hand, if you are confident you will always have those services when your tracker is needed, then you should probably pick the Cellular/GPS system that best meets your other needs. Some pet tracking systems allow you to set a safe zone that your pet is intended to stay within and give you an alarm if they wander. This is a very valuable feature and can do as much to help insure the safety of your pet as the ability to track them when they are missing. Within the products that offer continuous monitoring, there are considerable differences in the ability to select the size of safe zone, the ease of changing the safe zone as necessary and the length of time between the dog exiting the safe zone and you receiving a notification. Battery life can vary from as little as 6-8 hours to a year. If you are going to be away from home for more than 8 hours and you wish to have continuous monitoring of your pet then you must choose a product that will operate over that period of time — plus some additional time so the system has battery reserves to allow you to track them when necessary. For example, if you want to be able to go on a backpacking trip with your dog, you need to have a tracking system that will, ideally, work for longer than the week you plan to be gone. Obviously, if your dog is a swimmer, then you need to evaluate the different products accordingly. For a pet that swims you need check that the pet’s tag has a waterproof rating of at least IP67. Rubber covers for non-waterproof products only make them “splash proof”, not submersible. With service-based systems such as Cellular/GPS, you will have ongoing subscription fees and possibly activation fees. These periodic fees are in addition to the purchase price of the system. With RF tracking products, the purchase price is all you pay. Therefore, the activation and ongoing subscription costs (if any) of a system should be factored into the overall cost of ownership when evaluating the best dog tracking system for you. Ongoing costs can make a product that seems, at first, to be one of the cheaper alternatives turn out to be one of the most expensive over time. 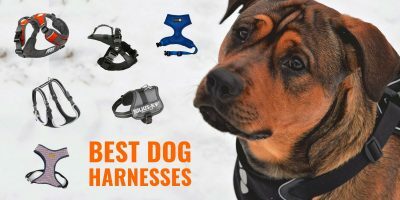 Let’s dive into our review of the best dog tracking systems in our order of preference. Please note that picking the right dog tracker is very much tied to your situation and use case; hunters will almost exclusively go for RF dog trackers since forests have no mobile signal. Other dog owners may favor a GPS-based system. 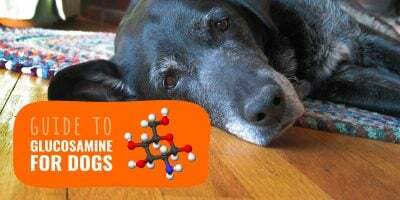 It all depends on your current situation but remember that a shorter battery life means having to charge the batteries every few days, for the rest of your dog’s life. In our subsequent specific product discussions below, we have listed 3-year total cost of ownership estimates for a two-dog household for each example product. Marco Polo is the only long-range RF pet monitoring and tracking system designed for daily use on both cats and dogs. Because it is self-contained, it will operate anywhere on earth without need for external services (no cellular, internet or GPS required). It also has a very long battery life, only requiring monthly charging when the pet is close to home most of the time and once every 2 weeks when continuously away from home. It is the ideal solution for people who live in rural areas or travel with their pets. Since Marco Polo is a radio direction finder, it does not show the position of your pet on a map. Instead it shows a directional arrow that points the way from where you are to where your pet is. For continuous monitoring the safe zone can be adjusted over a wide range and the locator is always the center of the safe zone so it can follow you as you travel with your pet. Up to 6 pets can be monitored or tracked from a single handheld locator. Has 4 programmable safe zone areas that range from a 100 foot radius up to about 1000 feet. The 3-year cost of ownership for 2 dogs amounts to $335. Hardware cost: $235 for the first dog, $335 total for 2 dogs ($100 additional per dog). The Whistle 3 product is the 3rd generation of the original “Tagg” tracker — one of the first cellular/GPS products to gain wide acceptance. It uses an innovative system that shuts the GPS and cellular circuitry off when the tag is within range of the WiFi wireless router in your home in order to save battery power. The size of that area depends on your home and the signal coverage of your WiFi router — for homes with larger yards the area may be too small and the battery life will be shortened considerably. If you have a small yard, or a powerful router, the dog could be across the street and you may not get a warning. The 3-year cost of ownership for 2 dogs amounts to $860. Hardware cost: $72 for the first dog, $144 total for 2 dogs. The Link AKC is somewhat unique in that it comes with its own dedicated wide leather collar that the tracking tag snaps in to. The collar comes in five different lengths but the curved tag holder is the same for all sizes of pets. The curve of the holder is designed for an “average” dog, and thus tends to be too large for small dogs and too small for large dogs. The 3-year cost of ownership for 2 dogs amounts to $915. Hardware cost: $99 for the first dog, $198 for 2 dogs. 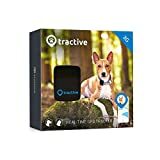 Unlike many other GPS/Cellular tracking products, the Tractive collar tag tracks all the time at a slower update rate and then reports every 2-3 seconds when in “active tracking” mode. Because the unit is active all the time it is likely to give you false alarms when your pet is indoors because the GPS and/or cellular signals often cannot be received indoors. The 3-year cost of ownership for 2 dogs amount to $562. Hardware cost: $56 for the first dog, $112 total for 2 dogs. Tabcat is a low cost RF tracking device with very limited capabilities. The key advantage is the extremely lightweight tracking tag. The primary disadvantage of Tabcat is the very limited range of operations. Tabcat is marketed almost exclusively for cats since they often don’t typically stray as far from home as dogs and the Tabcat tags are not waterproof. Range is 400 feet maximum under ideal conditions, and typically only 100-150 feet with obstructions. The 3-year cost of ownership for 2 cats amounts to $100. Hardware cost: $100 for 2 cats. 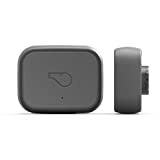 The products covered in this review do not represent all pet tracking devices on the market but they are the most popular in their respective categories. If you take stock of your individual needs, as well as those of your pet, you can at least answer the fundamental question: Can I get by with a system that must have cellular coverage to operate? If so, there are many products to choose, but you can’t really go wrong with the Whistle 3. It is a highly refined product and offers about as much utility as any Cellular/GPS based system can. If, on the other hand, your answer is, “No, I want to be able to monitor and track my pet wherever we go – or wherever my pet decides to go!” Then the Marco Polo product is the choice for you. I also tried a GPS tracking device, the Trackimo. It’s not in this list but it is definitely worth your time and investment. Trust me! I’m surprised it didn’t make the list too. Trackimo is one reliable tracking device for my pets. I purchased Trackimo before for my newly adopted Dog and was very useful until his 4th week when he is already familiar with his new home. I still have 11 months left on it’s free subscription so I used it now for my Car in case it will be stolen. I don’t know much about Trackimo but a tracking device that can be use for anything is really worth it cause I don’t think you would need a tracker for you dog forever. 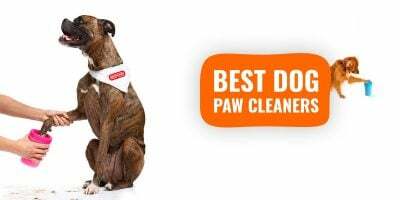 This is very useful for my dog who loves to play around usually away from our house. Yeah, I definitely agree with you. You can check it out at their official website.